The seasons have a big influence on the Cretan landscape. The land is verdant in spring following the winter rains, and burnt-out yellow and brown hues in autumn after the rainless, scorching summer. Crete - halfway between Europe and Africa – has unique flora. There are at least 120 plants endemic to Crete. Unfortunately, the Cretans do not take the protection of nature as seriously as they could, but they are slowly getting better. Flowers Crete: Many tourists visiting Crete in spring have come only to see its extraordinary wild flowers. 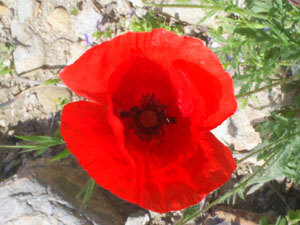 From March until May, flowers abound across Crete. Most impressive are the many wild orchids, the different amounts of species of which are uncountable. They come in different colours, shapes, forms and sizes; some are more than a metre high. You can also spot wild tulips, red poppies, anemones, peonies and all sorts of other flowers. We saw many orchids for example around Spili or in the Armeni Tombs. Herbs Crete: in spring and summer you can smell herbs in the country everywhere. The most famous herbs here are Cretan dittany (diktamos), oregano, thyme, rosmary, sage, bay, lavender and mint. Most interesting of these is probably Cretan dittany, which is a kind of mint which can be drunk like tea. If you get the chance to, you should try a cut. In ancient times through to the 20th century Cretan dittany was regarded as an important medicinal herb which could be put on wounds. The herbs are cheapest at markets, and can be bought in tourist shops at higher prices. You’ll also find them in the Old Towns of Rethymno and Chania. Trees Crete: Until 2000-3000 years ago, Crete was covered with a huge forest. Today only 3% of Crete can be described as ‘forested’, mostly in the west. In other parts of Crete the forest has been replaced with a semi-desert with some bushes. Common trees is the flora of Crete are for example the eucalyptus, the cypress, the plane tree and various oaks (like cork oak, valon oak, fluffy oak, holm oak). 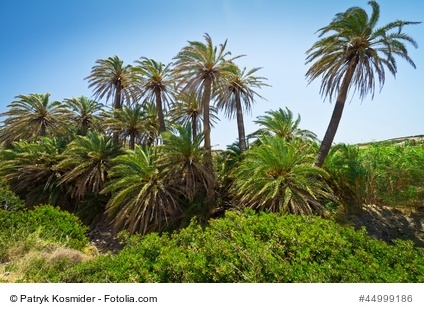 The most famous Cretan plant is the Cretan Palm Tree (Phoenix Theophrasti). This species of palm is unique to Crete ans some islands in the area, and grow only next to fresh water like in Vai Crete or Preveli Crete. 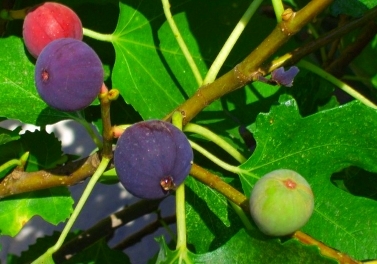 The fresh fruit of the fig trees (Ficus Carica) taste execellent. The Zelkova, a member of the deciduous family of trees, is also unique to Crete. Tourists from the north of Europe may also find the Carob (Ceratonia Siliqua), Eucalyptus (Eucalyptus Globulus), Cypress (Cypressos Sempervirens), Strawberry (Arbutus Andrachne), Olive (Olea Europaea) and various oak trees interesting to spot. In village squares and city parks many are impressed by big Mulberry trees and Sweet Chestnut trees (Mores Ingra and Castenada Satire respectively). Walnut and Almond trees are also a common sight across Crete. Agricultural Plants: Due to Crete’s dry and mountainous, there is not much cultivation of wheat, corn or potatoes. Olives, wine, oranges and lemons characterise the landscape in much of Crete. You’ll see plenty of fruit-bearing trees, producing apples, pears, peaches, figs, cherries and apricots. The delicious figs also grow wild and are ripe around August. Also mulberries grow in and near many villages on the island. 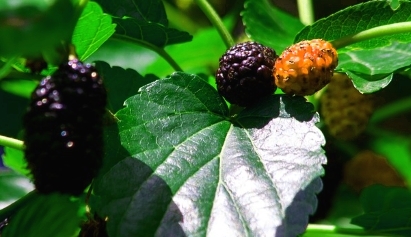 Often you find in the centr of a village and in many garden mulberries. In the last few years kiwi fruit and avocados have been introduced. The name of Crete’s second biggest city, the town of Chania, comes from the Greek word for quince (Cyronic). The most important vegetables are tomatoes, cucumbers and beans. Cotton, tobacco and peanuts were cultivated in Crete in former times, but not in modern times. The most important plant on Crete is the olive tree. You find them anywhere. No tree likes the dry and hot summers and the mild and wet winters on Crete more than the olive tree. 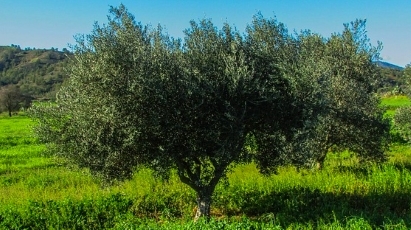 Olives are after tourism the most important economic sector in the island. 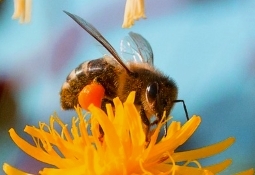 Beekeepers have been in Crete since Minoan times. The honey from remote areas is the best; the wild thyme and other plants that the bees go to make Cretan honey the best in Europe. The honey is not cheap. It is a great souvenir.